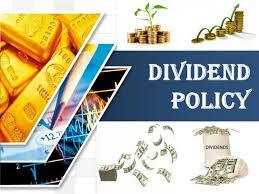 Broad objective of this article is to explain the Advantages of Quarterly Dividend Policy. Here analysis Quarterly Dividend Policy in financial point of view. For most businesses we could view a change towards a additional aggressive cash-flow policy. Bi-monthly invoices from your utilities company changed to some monthly invoice using the less accurate measurement of the energy usage. But in that area all that might have been done has been done; there is little border left for efficiency. But in dividend policies, only a very few companies have taken on a quarterly dividend-payment. That is obviously a measure that immediately benefits this company.